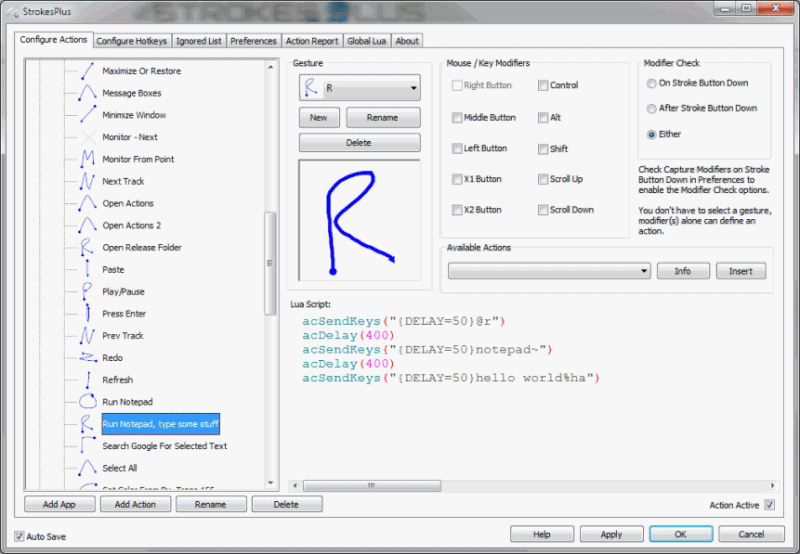 StrokeIt is a mouse gesture recognition engine and command processor. By "drawing" symbols on the screen while holding the right mouse button, you can perform various actions such as controlling the web browser, minimizing all windows on the desktop etc. StrokeIt currently recognizes more than 80 unique mouse gestures and can be easily trained to recognize many more. Combine this with PopSel and you got a pretty decent file launcher! Wrong version number... it's V0.97, not 9.7. Fixed, but everything else is the same. 7-zip can extract from installer.